You may not think that improving your credit score could magically transform your life. But you might be wrong. Meet Credit Sesame member Stephanie Craig. In early 2015, Stephanie hit her lowest point financially and personally. Already burdened with $32,000 of debt and a credit score in the 580s, she was also hit with an unexpected divorce. She had a job she enjoyed, but was not living the life she had envisioned. She wanted to see the world, not just her cubicle. Stephanie had no idea just how much changing her credit score would change her life for the better. Stephanie raised her score 120 points, from poor to good, over 14 months. Here are the steps that Stephanie took, in addition to maintaining a perfect payment record. Stephanie disputed late payments and a collection account. Stephanie’s payment struggles occurred in her mid-twenties, and she found lingering credit reporting errors many years later. She disputed them, and the inaccurate information was removed from her credit file. Stephanie paid down credit card debt. Stephanie paid $7,000 toward credit card debt to lower her credit utilization ratio. That’s the percentage of debt you carry in relation to your credit limits. Stephanie’s utilization dropped from 90 percent to under three percent. She opened two new credit cards with bonus mile offers. When you open a new credit card account, your utilization ratio falls (good) because your overall credit limit increases. This move also helped Stephanie land two free flights. She stopped running a balance on her credit cards. Stephanie began to pay her debts off completely each month, which saved (and still saves) her money on interest. Stephanie signed up for Credit Sesame credit monitoring. Stephanie signed up for Credit Sesame to track her progress. She was able to use the service to track inquiries and avoid over-applying for new credit. She was also able to monitor her credit card utilization ratio and keep it low. Credit Sesame’s account update emails motivated her to continue her efforts, and helped her stay on top of her goal to improve her credit. Stephanie didn’t just work on improving her credit rating. She also transformed her spending habits in order to build a travel fund. She spent less on dining out and even downgraded her car to save money on payments. Fourteen months ago, Stephanie set out to improve her credit, pay off debt, save enough money for one year’s living expenses, and start her travels. 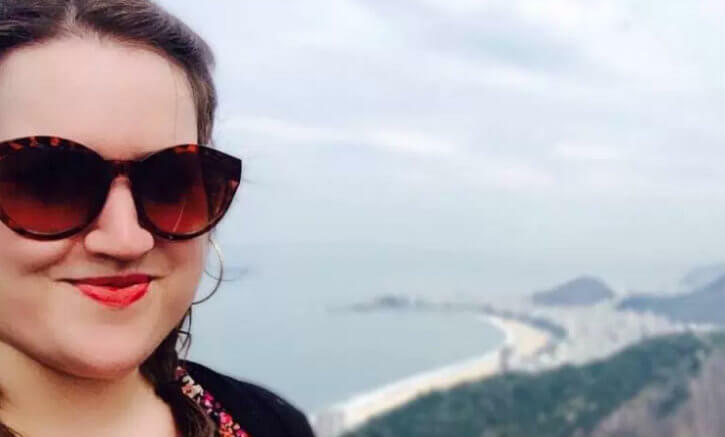 “Improving my credit has made traveling easier because I’ve been able to get the bonus miles credit cards I need to be able to fly on airline miles and not buy expensive flights,” Stephanie says. She was also able to get a Charles Schwab checking account, which comes with zero international fees and ATM fees. “When I had bad credit, they rejected me for the account,” she says. As her credit improved, she received better travel incentives, and the perks didn’t stop there. 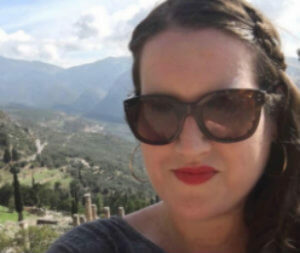 With an improved credit score and $18,000 saved in her travel fund, she quit her sales rep job, sold almost everything she owned, and traveled to Cyprus, an island country in the Eastern Mediterranean. She got a virtual job as a social media consultant, which has allowed her to continue to travel without dipping into her saved funds. “Following my passion made everything easy,” Stephanie says. She found herself riding a wave of positive changes and even lost weight and quit smoking. On her travel blog, GoThreeTwentyFour, Stephanie reveals that in during her divorce she realized that she had been living her life without a purpose. Building a great credit score opens doors to travel, the home of your dreams, and even the courage to change careers. What’s your goal and purpose? Do you want to see the world? Do you want to start your own business? Do you want to provide a financially stable environment for your family? When Stephanie imposed financial discipline on herself and improved her credit score, her dreams were set in motion, and she ultimately experienced a 180-degree life change. None of that would have been possible if she hadn’t first established her “why.” Why did she want to improve her score? She wanted to break free from past financial regrets and live her travel dreams. Stephanie decided what she wanted her life to look like, and to make that happen, she needed to improve her credit score. What goals could you accomplish if you had a better credit score and better financial habits?